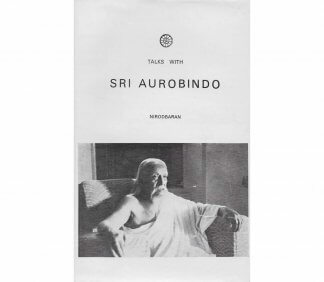 This book consists of notes, letters, telegrams, and public statements written by Sri Aurobindo at various times. 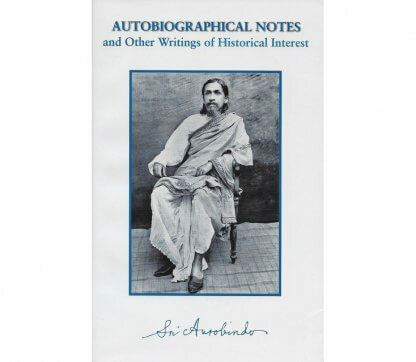 This book consists of notes, letters, telegrams, and public statements written by Sri Aurobindo at various times. It includes approximately three hundred pages of material not included in the SABCL edition: well over a hundred pages are published here for the first time and the rest were previously published only in journals or as parts of different books. Of the material already published in the SABCL edition and included in this new book, half is from the now-discontinued volume Sri Aurobindo On Himself and the other half from Letters on Yoga and the Supplement volume, which was never brought out as an independent book. 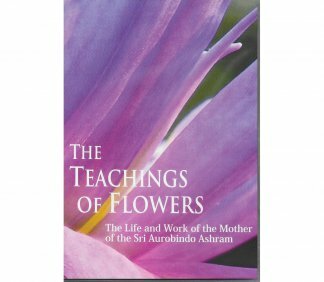 Most of the rest of the letters from On Himself, written by Sri Aurobindo after 1927 and touching on the subject of himself and his sadhana, will be included in a new volume entitled Letters on Himself and the Ashram. This documentary volume is divided into four parts: autobiographical notes, which consist primarily of things he wrote to correct statements made by others about him; letters of historical interest, mostly written before 1927 to family members, political and professional associates, people interested in his yogic practice, and public figures; public statements on Indian and world events; and public notices concerning his ashram and yoga. It contains a detailed table of contents and nearly sixty pages of editorial notes, containing information on the people and historical events referred to in the texts. The last clause in the quote is the precise-most statement on the cause of nobody being able to write a biography of Sri Aurobindo. We are still far from mastering any insight into his actions in the planes of Consciousness, glimpses of which we may have in the epic Savitri. Probably nowhere else his real task, his struggle to accomplish that task, his sacrifice and success – to whatever extent our human terms and values could describe them – had been more precisely summarized than on his Samadhi, through the Mother’s words. Here then we can sense yet another trait of supreme nobility – or call it divinity – of Sri Aurobindo. Engrossed though he was in exploring the alpha and omega of Consciousness, he did not pass over as simply shallow, superficial or phony the emotions, attitudes, beliefs, philosophies, fancies and fascination of the people around him. With infinite patience he corrected them, disarmed them of their petty notions and appreciated, helped and blessed wherever there was a sign of openness towards the light he sought to bring down into the twilight of our sensibility. Autobiographical Notes and Other Writings of Historical Interest is a compendium of these interventions of Sri Aurobindo: of numerous corrections and remarks on the efforts of authors trying to reconstruct the events constituting his life on the surface, of his observations on several matters of historical importance both national and international, his letters to newspapers, as well as his statements on his Yoga and the Ashram, spanning a period of about six decades. 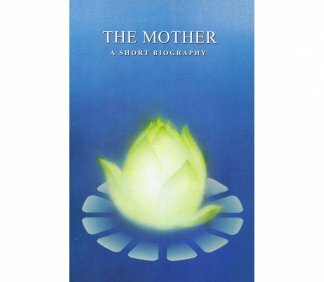 While some of these pieces had been compiled earlier in Sri Aurobindo on Himself and on the Mother and in one or two other books, this volume presents several items hitherto unpublished in any book. This apart, what imparts to the volume a new character is its editorial arrangement and cardinally important footnotes. Most of the items are Sri Aurobindo’s letters, written to a wide range of people including seekers, his associates in the earlier phase of his life and his relatives, as well as to political personages including Bipin Chandra Pal, Joseph Baptista, B.S. Munje, C.R. Das, S. Radhakrishnan, Morarji Desai, Surendra Mohan Ghosh, Kailash Nath Katju and K. M. Munshi. The communications are personal, yet what arise from them are transpersonal illuminations. There are his observations on the Second World War, Cripps proposal, Wavell Plan, the assassination of Gandhi-ji, etc. that by now are widely known, but put together, they give us a firm angle to look at the situations of those days. Shri Manoj Das is a well-known writer. A Padma awardee, he is a recipient of the Saraswati Samman and Sahitya Akademi award. A brief biography of the Mother’s life, mostly taken from her autobiographical statements.